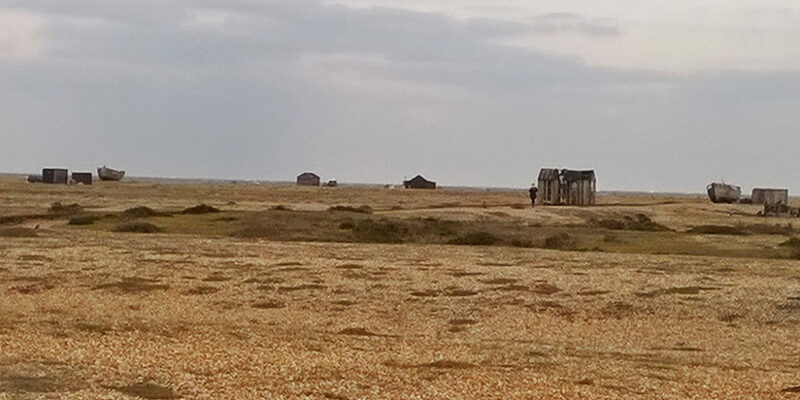 “Whilst visiting friends on the south coast this February we decided to have a day trip to Dungeness in Kent. Like many I was struck by the completely unusual, almost alien, environment. 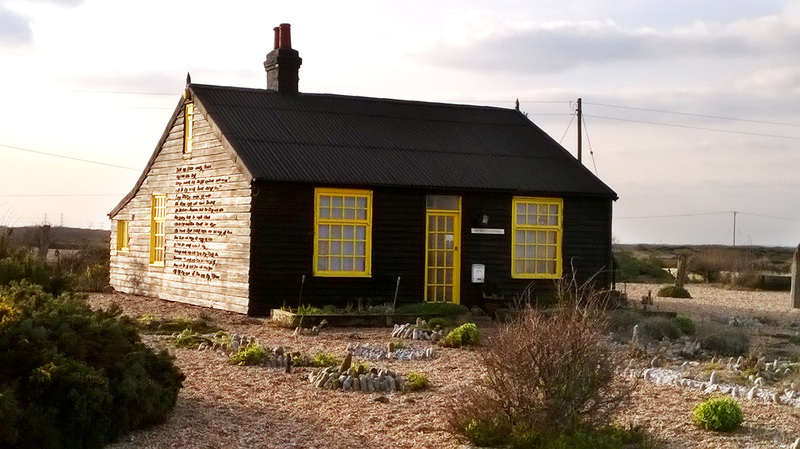 Dungeness is a landscape of contrasts; the completely barren expanse of shingle beach has a backdrop of the Romney Marshes that house over a third of the UK’s plant species, the scattering of small cottages dwarfed by a huge nuclear power station of the 1980’s, the degrading fisherman’s huts seen next to a number of new modern houses that have featured in the Architectural press. Made all the more powerful by the stark contrast of the weather on the day – with bright winter sunshine and yet bitterly cold easterly winds. 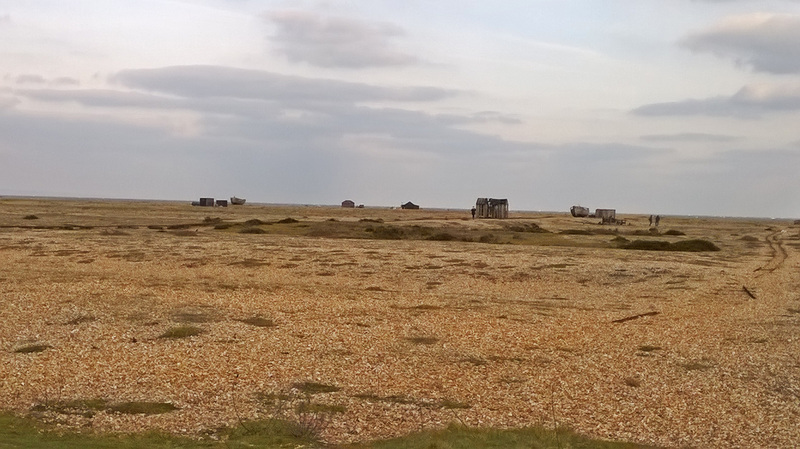 The shingle ridges which were formed over 5000 years ago were originally part of a family estate, but are now owned by EDF. 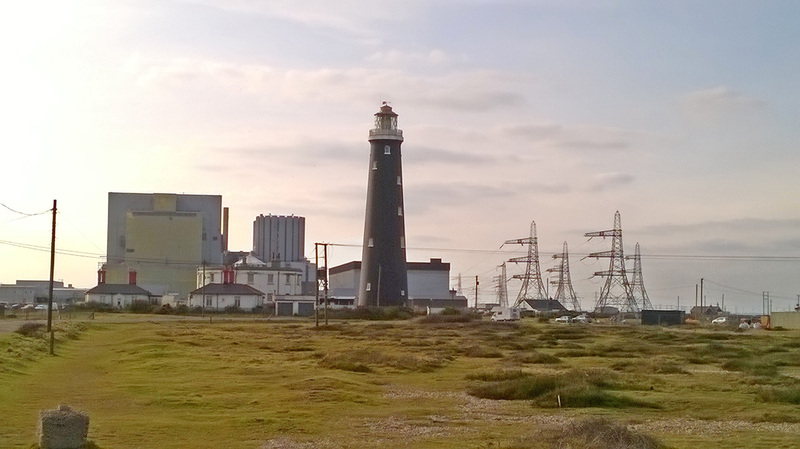 Originally the area was home to a community of fishermen, but then gravel extraction also provided local employment followed by the Nuclear Power Stations of Dungeness A and Dungeness B in the last 60 years. Not forgetting the number of artists who have also felt inspired to move to the area. It is a unique place which coupled with some interesting examples of modern architecture I felt made an ideal topic for my office presentation – I wanted to share the experience of my visit, but also felt there was an interesting historical background and some contrasting examples of modern architecture to learn about and debate with the rest of the team. The sleek forms of the Pobble House (by Guy Holloway Architects) clad in larch, core-ten and cement fibreboard, with a minimalist interior, compared with the Shingle House (by Nord Architecture) clad in black timber shingles to reflect the local vernacular with a white painted timber boarded interior which again contrasts with the stark form of the Gelon Hanna House (Simon Conder Associates) with its entirely black rubber clad external envelope (with contrasting polished aluminium airstream caravan used for guests) and ply lined interior.